The most common applications for jibs are individual workstations; machine tools, welding/fabrication stations, and some small assembly stations. They are also often used in simple loading / unloading operations where it is not necessary to spot a load precisely. Jib cranes most often handle lighter loads at lower duty cycles than their bridge and gantry crane counterparts. 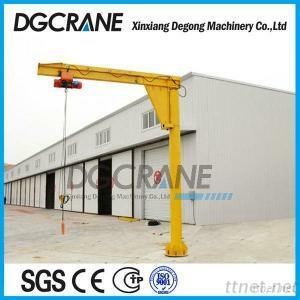 If there is a need for precise locating of heavy loads, a large area of hook coverage, or frequent use for heavy loads, the jib crane may not be the best solution.